The Robotics and Interaction Labs at Heriot-Watt University hosted a joint Open Day on Wednesday 21st June. 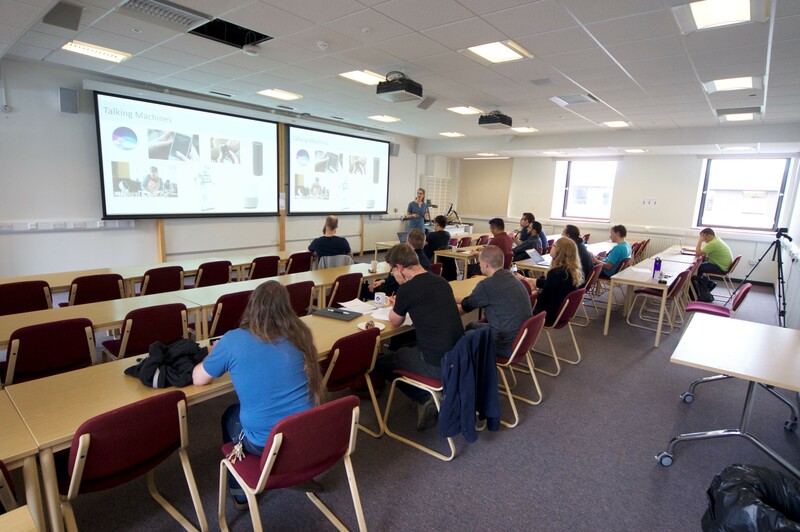 The Open Day included two keynote speakers: Dr Verena Rieser from the School of Mathematical and Computer Sciences at Heriot-Watt and Dr Mary-Ellen Foster, a Lecturer in the School of Computing Science at the University of Glasgow. 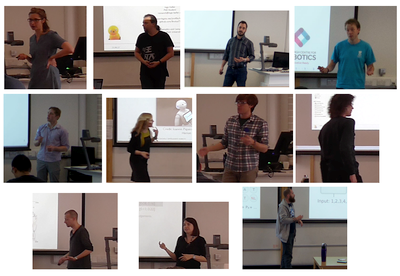 Dr Rieser discussed "Data-driven methods for spoken dialogue systems" and Dr Foster presented on "Face-to-face conversation with socially intelligent robots". CDT student Teun Krikke from the 2014 cohort presented "A comparative study of non-negative matrix factorisation and deep learning techniques". Boris Mocialov from the 2015 cohort presented his research into Policy learning for British Sign Language users. His fellow cohort students, Calum Imrie and Eli Sheppard, discussed their research into "Reaction diffusion in robotic applications" and "Video Caption Generation" respectively. The event was a great success and students were particulary appreciative of the encouragement they received from the keynote speakers.